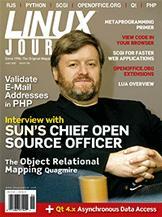 Why did Sun decide to GPL Java? Find out what the love for Python is about. Want your database-driven app to run better? Let your computer do the programming. Browser access to source code. Can your Web apps go even faster? Want to add features to OpenOffice.org? Nicholas Petreley's /var/opinion Is GPL Java Too Little, Too Late?